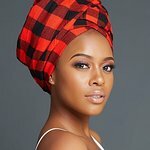 UNHCR, the UN Refugee Agency, has announced the appointment of South African actress and human rights activist Nomzamo Mbatha as its newest Goodwill Ambassador. Since 2017, Mbatha has worked in close in cooperation with UNHCR as a High Profile Supporter and advocate for UNHCR’s LuQuLuQu campaign, raising awareness for the forcibly displaced in Africa. Mbatha’s engagement includes visits to experience UNHCR’s life-saving work in camps and settlements in Malawi, Kenya and South Sudan. She also hosted the 2018 Nansen Refugee Award Ceremony, which honoured South Sudanese humanitarian Dr. Evan Atar, and spoke at TEDxKakumaCamp, the first ever TEDx event to be hosted in a refugee camp. In her talk, she reflected on how her deep attachment to helping refugees, particularly women and children, is rooted in her personal life story of overcoming adversity. “The strength of refugees, their ability to persevere and their ingenuity for making the best of a difficult situation is what I celebrate. Being named a Goodwill Ambassador is an incredible honour and I can’t wait to embark on this journey, learn more and use my voice to truly be an agent of change,” said Mbatha. Mbatha’s appointment comes at a time when war, conflict and persecution have forced over 68 million people to flee their homes – the highest level of displacement ever recorded. Over 25 million of these are refugees, with Sub-Saharan Africa hosting over 31 per cent of the global refugee population.